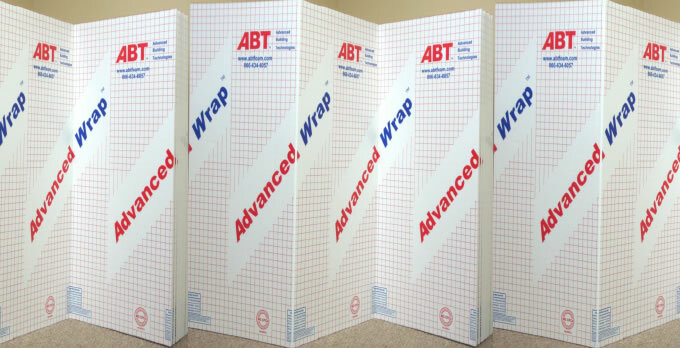 Advanced Wrap™ fanfold insulation and sheathing panels are made from high performance expanded polystyrene (EPS) rigid foam with a tough and durable facing laminated to the front and back surfaces. The laminate facing used for residential fanfold insulation and sheathing panels is clear printed polypropylene on the front and metalized polypropylene unprinted on the back. For commercial roofing applications, the laminate is the more temperature resistant clear polyester laminate. Adding a layer of Advanced Wrap™ insulation to your home or business adds an extra layer of protection from hot and cold. Advanced Wrap™ is ideal for adding a layer of rigid insulation for retrofit siding projects making a smooth and level nailing surface.